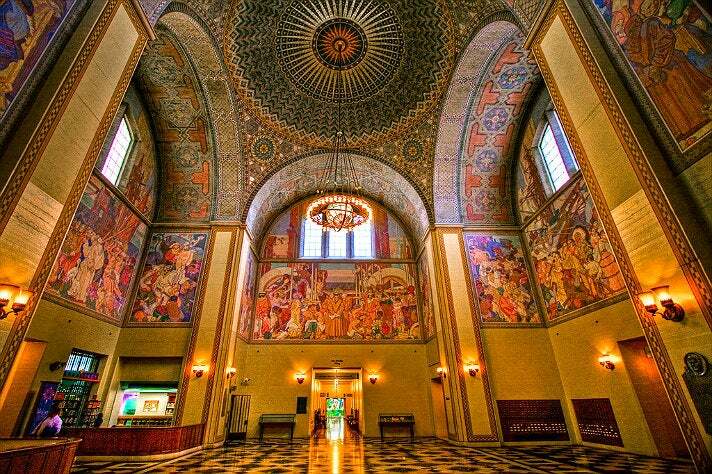 The Central Library is one of the most beautiful, historic and useful places in Downtown L.A. 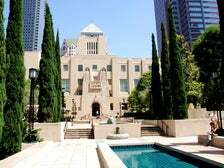 The flagship of the Los Angeles Public Library system dates to 1926 and has a fascinating history that includes an astonishing resurrection after being nearly destroyed by arson fires. Spanning more than 500,000 square feet and eight floors, the Central Library houses everything from an auditorium for book talks and other programming, to exhibition galleries, a children's theater, and artwork around practically every corner of the building. As an added bonus, there's free Wi-Fi throughout the building and multiple printing stations. Whether you want to explore the halls or print out your boarding pass, the Central Library is there for you. Located near the Music Center, Grand Park is a green sanctuary in the middle of the urban hustle-and-bustle. It's a great place for a picnic or to grab a bite from the food trucks that show up at lunch time. The park is larger than it might seem at first glance - it runs from City Hall to the Music Center with major streets cutting through the plots. One of the treasures within the park is its garden filled with a global array of plant life. Grand Park leads a secret double life. During the day, it's a peaceful spot to unwind. After dark and on the weekends, it can transform into a lively hotspot to check out the city's DJ culture. 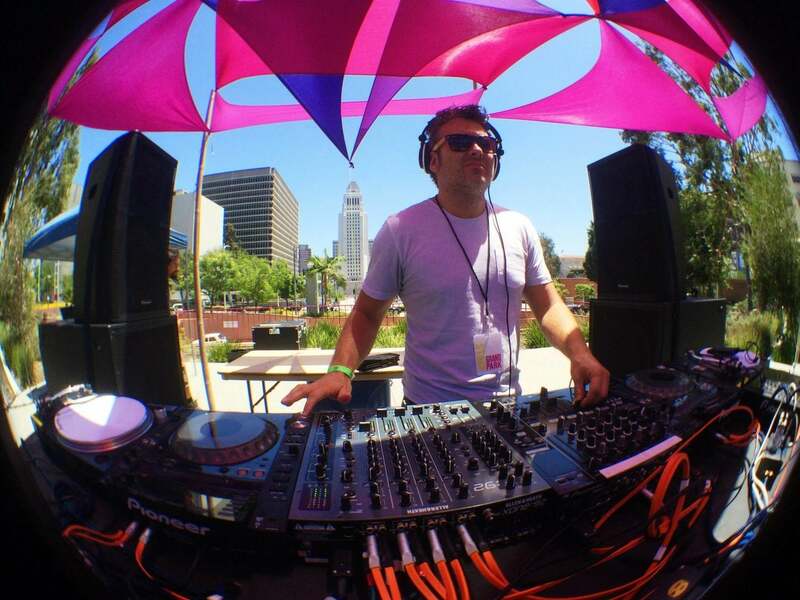 Dance DTLA is a regular summertime event on Friday nights with local DJs providing an eclectic mix of sounds with themes that change from week to week. Sunday Sessions is another local summertime favorite that brings in noted house music DJs for afternoon/early evening parties. Holiday events include a Dia de los Muertos festival and the annual New Year's Eve celebration. So you want coffee and your friend is craving a beer, what do you do? Head over to Mega Bodega, where you both can get your fill. 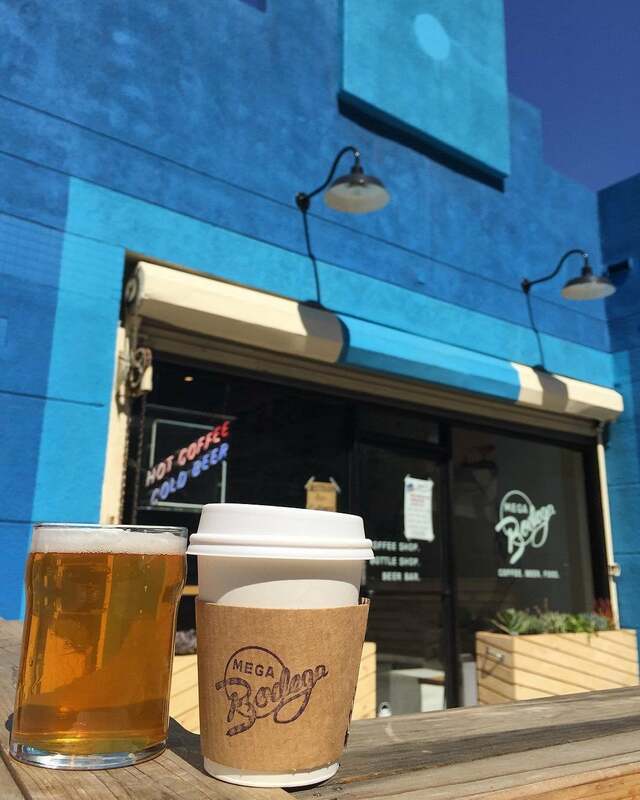 This tiny spot on the border of the Fashion District serves up a variety of beers in bottle and on tap, plus there's a coffee bar on site. Mega Bodega is a low-key space with a very small patio on the sidewalk with milk crates that double as tables. The Roy and Edna Disney/CalArts Theater (REDCAT) is tucked away at the bottom of Walt Disney Concert Hall. It's easy to miss REDCAT, but find it and you can enjoy arts programming that veers towards the experimental and cutting edge. 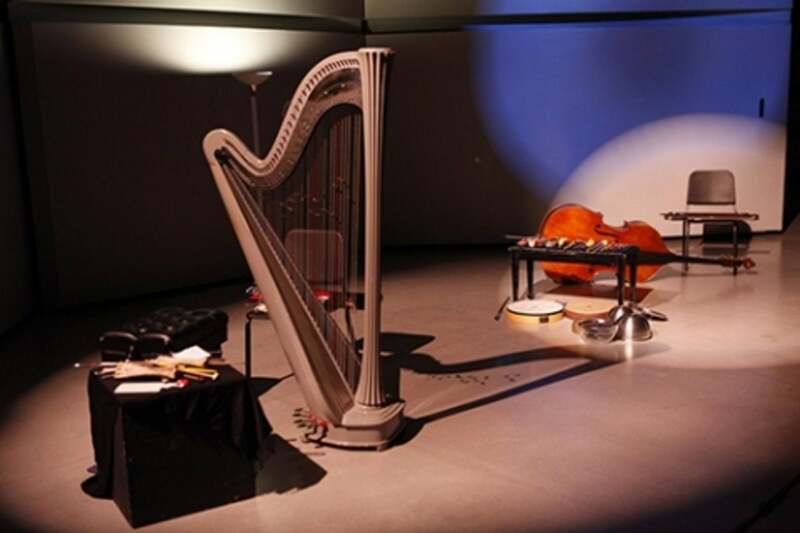 The venue boasts up to 200 events throughout the year, featuring everything from the annual NOW Festival that highlights interdisciplinary performances from local artists, to the REDCAT International Children's Film Festival, to showcases from California Institute of the Arts students. The Rooftop at The Standard Downtown L.A. 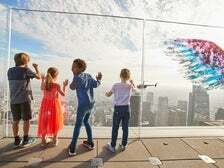 Downtown L.A.'s rooftops are some of the area's best hidden gems, often providing gorgeous 360-degree views of the city. The Rooftop at The Standard is a local party destination decked out with a swimming pool, lots of spots to soak up the sun, a bar and a dance floor. 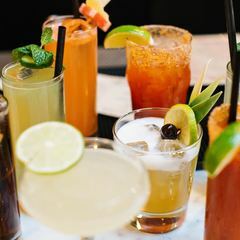 The Rooftop is mostly 21 and over (minors are allowed at select hours if accompanied by an adult who is staying at the hotel). 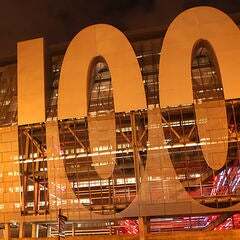 The parties here run the gamut of music styles and the DJs are some of the best in the city. Entrance often requires an RSVP, so check their calendar and make plans before heading there. Until recently, the US Bank Tower was the tallest skyscraper in the city. 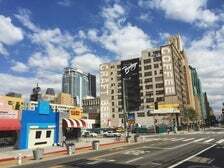 That's not the case any more, but it still towers over much of the rest of Downtown L.A. 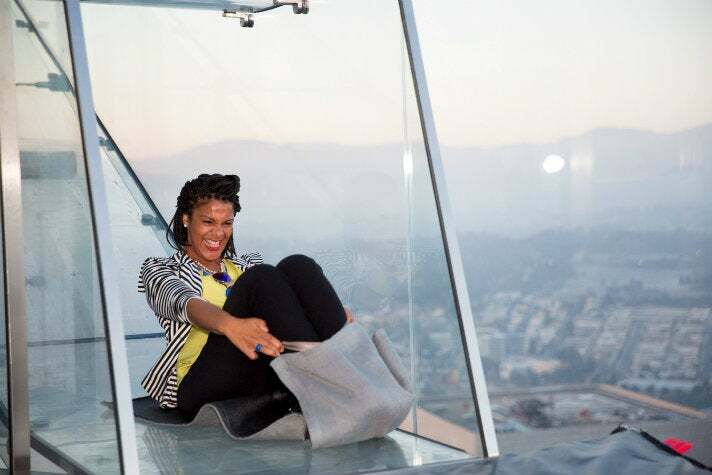 The building is home to OUE Skyspace and a hidden thrill ride. Daredevils will want to head nearly all the way to the top to take a ride down the Skyslide. The first of its kind in the world, the Skyslide is a clear encasing that will take you on a ride on the outside the building. 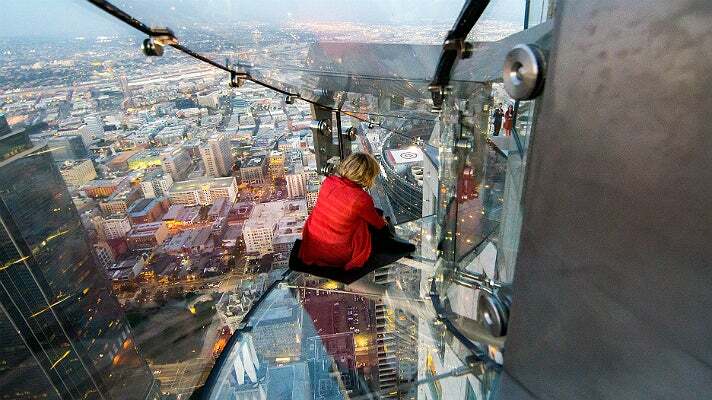 You don't slide very far, but you're about 1,000 feet high in the air, so it's really only for people comfortable with heights and enclosed spaces. 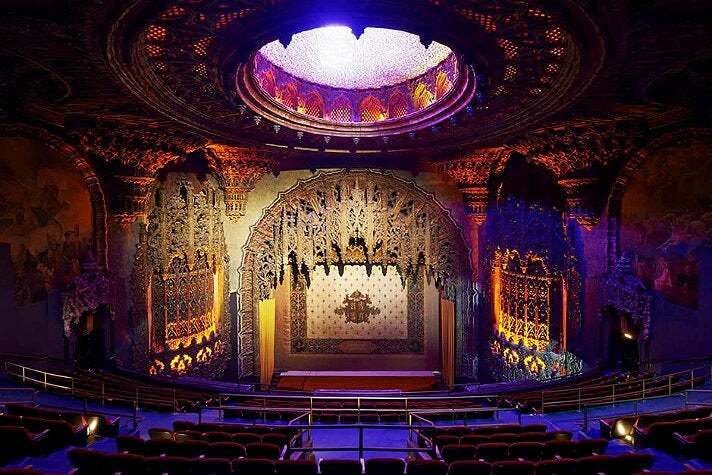 The Theatre at Ace Hotel opened in 1927 as the flagship movie palace of United Artists. It's a theater made for old screen gems with intricately carved walls, winding staircases and statues that pop out of alcoves. Today, the 1,600-seat venue is an essential Downtown L.A. destination for its spectacular restoration and eclectic programming. Concerts, comedy events and film festivals have all found a home at the theatre. If you just want to see the venue, look out for excursions like the Broadway Historic Theatre Tour. Look for murals by famed artist Anthony Heinsbergen that depict two UA founders, Mary Pickford and Douglas Fairbanks, and other Hollywood figures as gods and goddesses. After the show, head next door and up to the Ace's rooftop, where local DJs play for crowds taking in spectacular city views. Opened in 1939, Union Station is the largest railroad passenger terminal in the Western U.S. 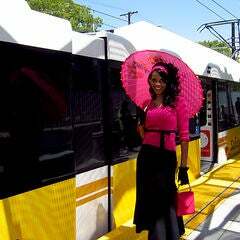 But the landmark station is much more than a bustling transportation hub for Metro, Metrolink and Amtrak. 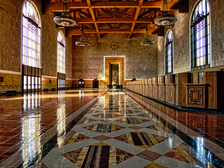 Featuring a stunning design that combines Spanish Colonial Revival architecture, Mission Revival and Streamline Moderne, Union Station has appeared in movies such as Blade Runner, Bugsy, To Live and Die in L.A., Silver Streak, and The Way We Were. Union Station is also home to a notable public art collection. The long hallway leading to the train platforms doubles as a photo gallery. 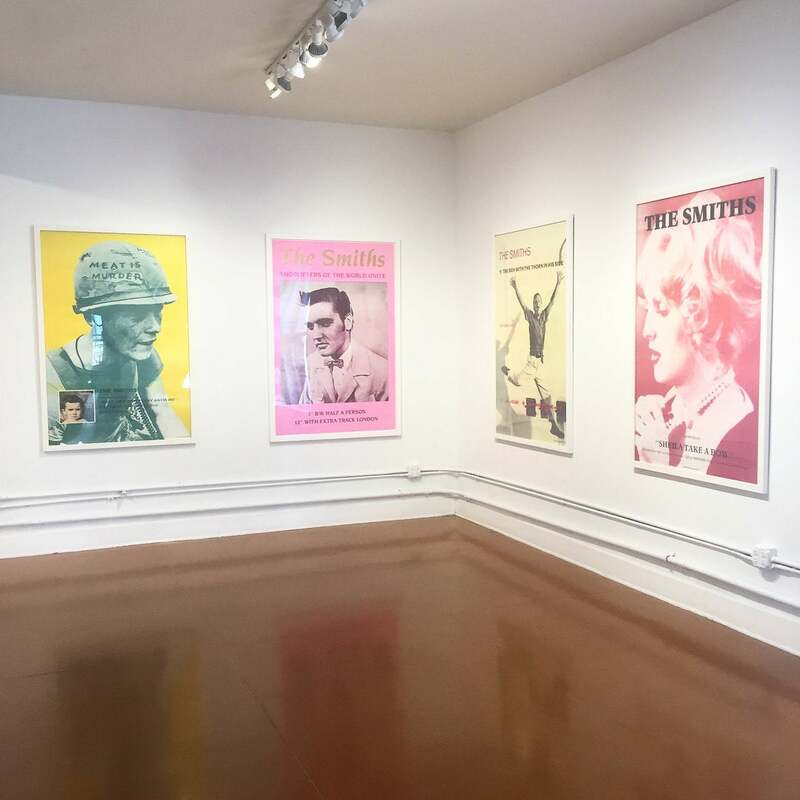 If you're not in a rush, take a few minutes to check out the current exhibition. Permanent pieces adorn various areas of the station. Above the escalators to the Metro Red and Purple Lines, you'll find A-Train by Bill Bell. What many passersby may not know is that Bell's interactive artwork has a voice-activation function that triggers some artsy surprises. 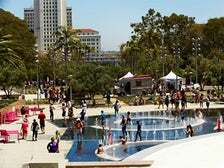 Events take place at Union Station with some frequency and can include the music-centric KCRW Summer Nights and film screenings. Tours are available. These Days is an art gallery located on the second floor of a building on a tiny side street. It's not the sort of place you notice when you're walking through the neighborhood, but it's worth a trip. There's a small, boutique-like area off to the side of the main gallery. While you'll find the usual hip L.A. goods like perfume oils and incense, the draw is their zine selection. These Days stocks an incredibly interesting selection of tiny arts publications filled with photos and drawings that make them page-turners. You might even find some vintage selections, like a smattering of Raymond Pettibon zines recently spotted in a display case. The Triforium is a strange work of public art at Fletcher-Bowron Square in the Los Angeles Mall, near City Hall. Created by the late artist Joseph Young, the six-story sculpture looks like a rocket shooting rainbows. 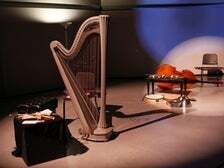 Its secret is that it was actually designed to be one of the largest musical instruments in the world. There was a problem, though - the technology available in the 1970s wasn't conducive to keeping the Triforium running. Now, a group is trying to restore the colorful artwork. 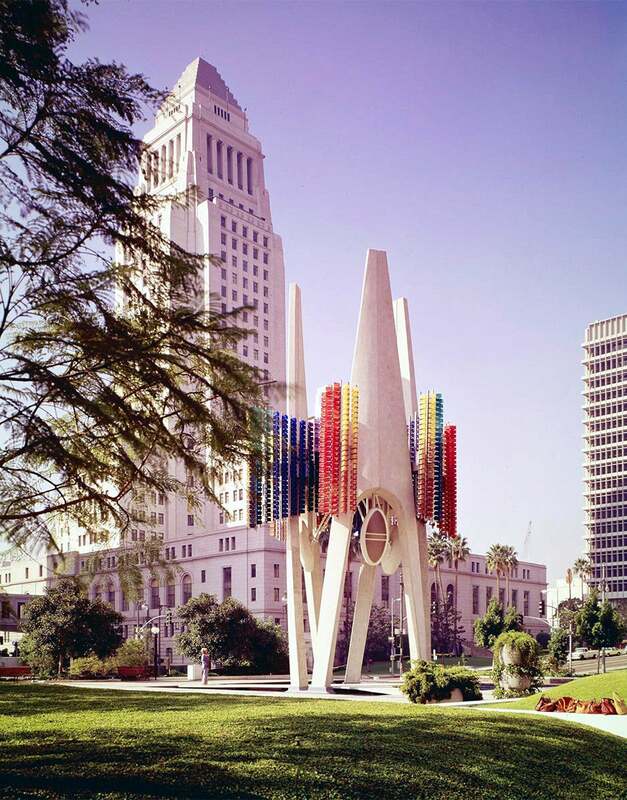 Maybe someday, the Triforium will serenade Los Angeles. 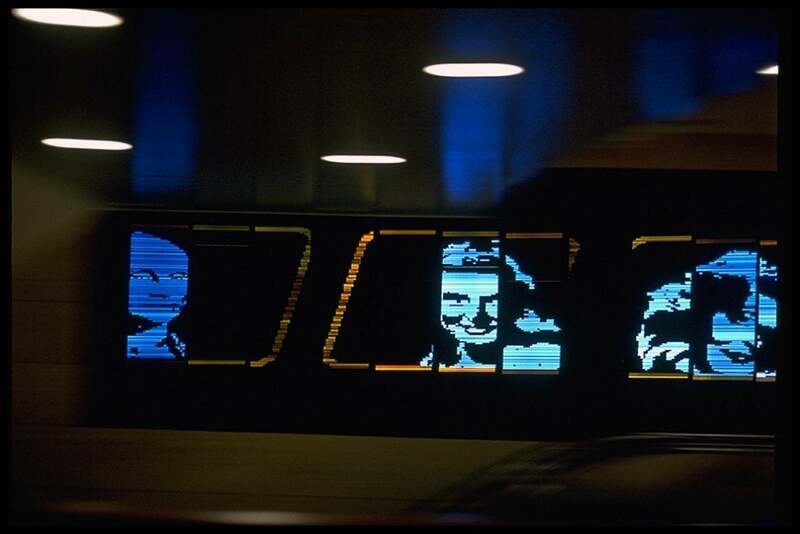 Until then, you'll just have to settle for looking at this odd piece of L.A.'s art history.